SEOUL, Oct. 27 (Yonhap) -- Veteran male handball player Yoon Kyung-shin has been named South Korea's flag bearer during the opening and closing ceremonies at the upcoming Asian Games in Guangzhou, China, the Korean Olympic Committee (KOC) announced Wednesday. This will be Yoon's sixth Asian Games appearance. The 37-year-old also represented South Korea at four Summer Olympics. South Korea's men's handball team won five straight Asiad gold medals from 1986 to 2002. 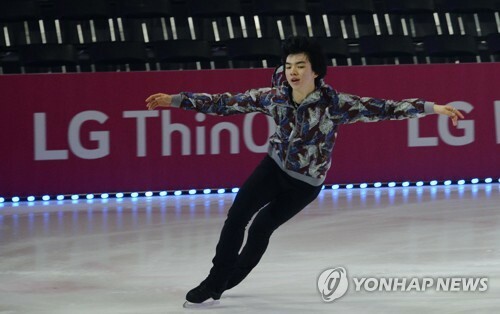 The KOC explained that it chose Yoon for his popularity and that among athletes taking part in opening and closing ceremonies, it wanted to pick one most likely to win a gold medal. When the South Korean delegation departs from Incheon International Airport and arrives at Guangzhou Baiyun International Airport, male badminton player Lee Yong-dae will carry the national flag. Lee, an Olympic gold medalist in mixed doubles in Beijing two years ago, is one of the most popular badminton players in South Korea. Male pistol shooter Park Byung-taek and female fencer Nam Hyun-hee have each been named national team captains. Park, 44, has won four gold medals in five previous Asian Games. Nam, 29, won both the individual and team gold medals at foil at the 2006 Asian Games.